The 3D Modeling & BIM Workshop has come to its fourth edition; this year, it is dedicated to the theme of ‘New Frontiers’. As on previous occasions, the event was hosted by the Sapienza Università di Roma at the Valle Giulia headquarters on the 18th and 19th of April 2018 . ‘New Frontiers’ is the subtitle of the fourth edition of this event (fig. 1). The organizers record with satisfaction the constant growth of the event both in terms of quantity –starting from the number of contributions and members– and quality. Although the first aspect is important, the second aspect is more interesting to dwell on; looking through the type and quality of contributions, one gets the impression of entering a largely unexplored territory that is potentially rich in innovative ideas. However, it also has its pitfalls [Bianchini 2018, p. 12]. This is Carlo Bianchini’s viewpoint. He is Director of the Department of History, Design and Restoration of Architecture at the Sapienza Università di Roma. He is also the host of the event (read more). Bianchini, C. (2018). Presentazione. In Empler, Quici, Valenti 2018, pp. 12-13. Bianchini, C., Nicastro S. (2018). The definition of the Level of Reliability: a contribution to the transparency of Historical-BIM processes. In Dn. Building Information Modeling, Data & Semanti-cs, No. 2, pp. 46-59: <http://www.dienne.org/> (accessed 2018, June 22). Di Luggo, A. (2018). Teaching and research: H-BIM systems for documenting architectu-ral heritage. In Empler, Quici, Valenti 2018, pp. 34-44. Empler, T., Quici, F., Valenti, G.M. (a cura di). (2018). 3D Modeling & BIM. Nuove Frontiere. Proceedings of the 4th workshop 3D Modeling & BIM. Rome, 2018, April 18-19. Roma: DEI Tipografia del Genio Civile. Valenti, G.M. (2018). Osservando la ricerca sul 3D Mo-deling & BIM. In Empler, Quici, Valenti 2018, pp. 42-47. M. Lo Turco, “Workshop 3D Modeling & BIM. 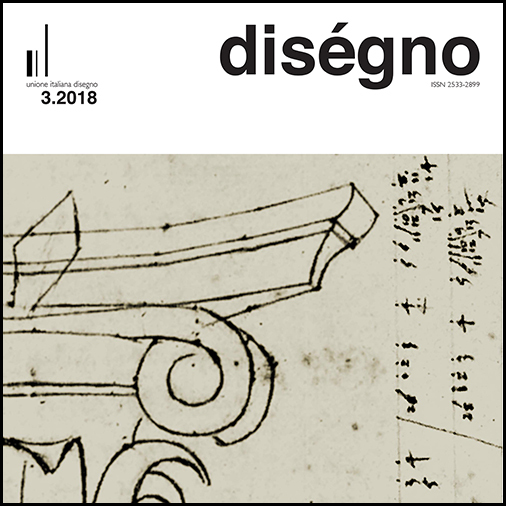 New Frontiers”, diségno, no. 3, pp. 245-247, Dec. 2018.